It was a day in China's history that will never be forgotten. June 4, 1989, Chinese troops opened fire on students and protesters in Tiananmen Square. The protests began in April following the death of former Communist Party General Secretary Hu Yaobang. Only a handful of people originally showed up to the square in his memory, but as weeks passed hundreds of thousands of people joined the demonstration, which became a mass movement for political reform. The protests remained peaceful until troops opened fire June 4th. The government reported 241 people were killed and 7,000 were wounded. 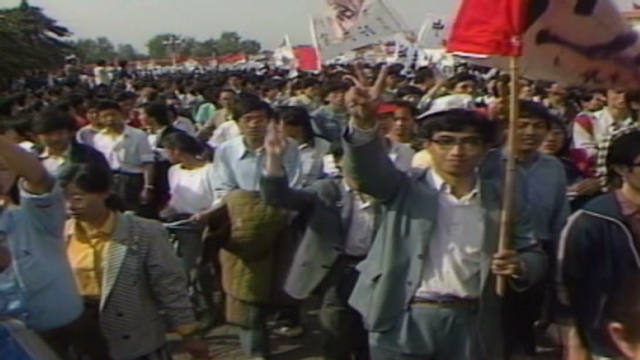 In today's Gotta Watch we remember the Tiananmen Square protests of 1989. China's perfect storm - In 1989 the world watched mainly students and intellectuals protest in Tiananmen Square. CNN's Kristi Lu Stout details the most influential moments of the protests and the mystery that still surrounds the "tank man." 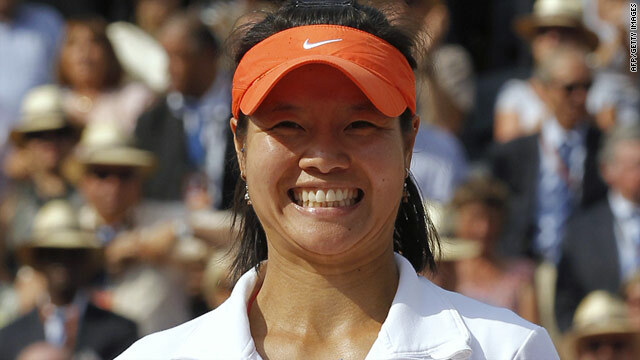 Li Na, a sixth-seed, rejoices Saturday after beating the defending champion Francesca Schiavone in the French Open finals. China's Li Na became the first Asian tennis player to win a grand slam singles title as she defeated defending champion Francesca Schiavone on Saturday in the French Open finals. The 29-year-old triumphed 6-4 7-6 (7-0) against the Italian, having been the first player from her country to reach the final of the clay-court tournament. The victory will push her up to a career-high fourth in the world rankings, equaling the best by an Asian player set byJapan's Kimiko Date Krumm back in 1995.